Unless you are familiar with the different politeness levels (see more below), this is the phrase you should use. The literal meaning is somewhere along the lines of ‘May peace be with you,’ but just think of it as you’re saying ‘Hello!’ since that’s exactly how people use it. The 안녕 (an-nyeong)-part means “peace” or “health”(there are many ways to say “peace” but only 안녕 is used in greetings), and while -하세요(ha-se-yo) has a grammatical definition, 안녕하세요 is an expression and because of that, it’s not a good example to use when explaining grammar. It DOES, however, make it polite, and not too formal. In other words, it’s perfect for those of you who don’t know the politeness levels. You will come across as very polite and no one will be insulted. 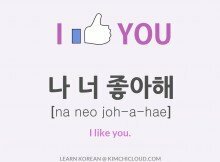 Remove the polite and slightly formal -하세요(ha-se-yo) and you have the casual and informal way of saying hello in Korean! It is generally recommended that you only use this form with close friends and people who are younger than you. But reality is a little grayer than that. How do you know if you are close friends with someone? How do you know if they are younger? Well, if it makes you feel better, it’s not always clear to a Korean person either. If you are about the same age and you feel like you have a good relationship, try it! People are more comfortable talking casual and your friend will most likely be relieved. And if you want to know about their age, just ask! It’s one of the first questions people will ask each other when they meet. Here are some instances when this form should NOT be used. When the person you speak to clearly is much older than you. An elderly person, for example. When speaking with your teacher/professor/boss. When you meet someone for the first time and it’s not clear who’s older. When you are unsure. Use 안녕하세요(an-nyeong-ha-se-yo) in that case. Although Koreans use the same expression no matter the time of day, you’ll sometimes see young Koreans write 굿모닝 – “Good Morning” written in Hangul (the Korean writing system). You’ll also see alot of 하이(요) (=hi). This is the most formal way of saying hello in Korean. 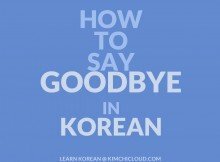 As a tourist or someone who has just started learning Korean, you probably won’t say this very often, if at all. It is, however, important to be able to recognize it as it is used in the news, presentations and other formal occassions. Also, this is sometimes the way you’ll be greeted in certain stores and establishments. There are more forms, but these are the ones you’ll come across 99.9% of the time, and the one’s you’ll use 99.99% of the time. Regardless of whether you’re the person answering or the caller, when you’re on the phone and want to say hello, yoboseyo (여보세요) is the phrase you should use. Furthermore, you use it regardless of whether the person you are talking to is older, younger, higher status or lower status. 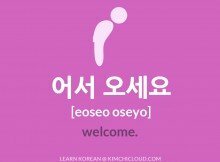 Other than just saying “hello”, there are of course many other ways to greet people in Korean. For example, you can use phrases such as “How are you?” or “Long time no see”. “bap meogeosseoyo?” (밥 먹었어요?) is another very popular phrase, meaning “did you eat?” and is used frequently instead of saying “hello”. As a beginner, however, you should focus on learning one of these phrases at a time, as otherwise you might run the risk of getting confused. Thus, start with “annyeong haseyo” (안녕하세요) and progress from there. 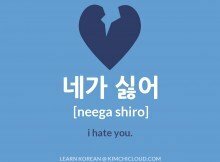 Also, although not quite in the scope of this lesson, Korean gets a lot easier to learn if you learn and internalize phrases instead of just studying words on their own. It is a very contextual language, so words and phrases can mean different things depending on the situation and the context. If you watched the television show “Arrested Development” you might remember the character Annyong Bluth. He was named after the word for hello in Korean, the one we just learned, because it was pretty much the only thing he said. Please like or share if you found this lesson helpful. As always, if you have any questions or comments, make sure to let us know below and we will do our best to help you out! 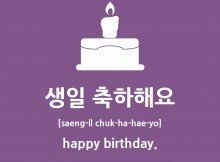 How to say “why” in Korean – Wae (왜)?